In another time and place, 1951's Native Son would have been hailed as an impactful classic. 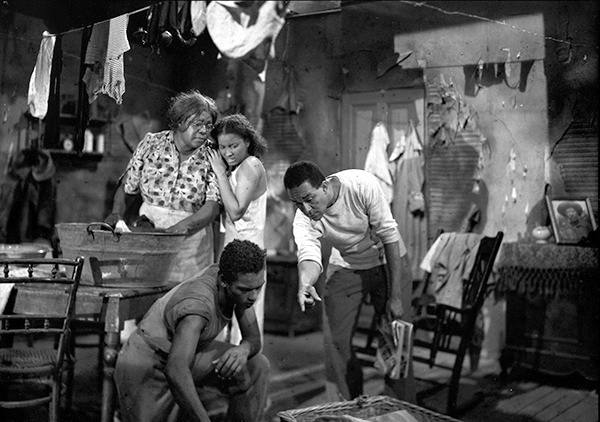 But because it featured a mostly black cast acting out a black story, the film production had to travel to Argentina to recreate author Richard Wright's controversial 1940 bestseller. The book's Native Son is Bigger Thomas, a young black man pushed by his socio-economic circumstances into committing some serious crimes against whites, and even his own friends and family. When the film was finally shown here, censors had gutted it, cutting out all uncomfortable references to racial inequality. Viewing the restored edition playing at the NYFF, one can see the effect cultural denial and censorship can have on what might have otherwise been a landmark movie. In a world where the signposts and milestones of achievement that whites take for granted have been denied to African Americans, Native Son ends up being nothing but a lost artifact or, as a friend calls it, a curio. 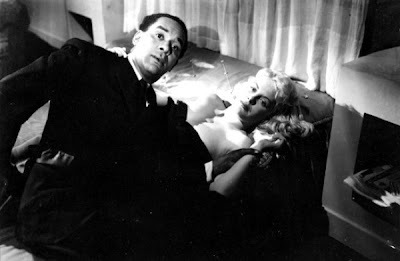 Still, though the film has been toned down considerably from its source, Pierre Chenal's feverish, high-strung adaptation manages to shock in some of the same ways that Wright's novel did. For one thing, many African Americans, most notably James Baldwin, took issue with Wright's depiction of Thomas as a violent, self-defeating black man. 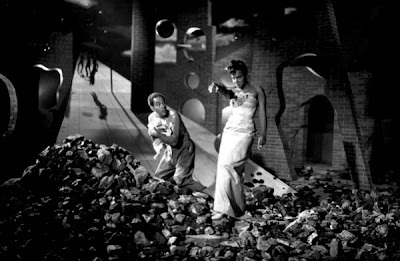 If anything, the author's position on Thomas is heightened and confirmed by Chenal's film, by virtue of the fact that Wright himself plays Thomas as a wild-eyed, emotionally reactive brute. Thomas soon falls into the same downward spiral many movie protagonists did in the noirs so prevalent at the time. Every move Thomas makes closes more and more exits off to him, forcing him into a maze with only one sure destination: the electric chair. Wright, a communist who saw religion as an institution used to sedate African Americans, implies that Thomas would be able to succeed if the world were set up more in line with his left-leaning philosophy. At the same time, Native Son seems to look suspiciously at the only two Communist characters it offers. Mary Dalton (Jean Wallace) and her boyfriend, Jan (Gene Michael), both try to recruit Thomas to their cause, ostensibly out of concern for his well-being. But Wright paints them as well-meaning liberal white kids who are out of their depth. And of course, their involvement with Bigger is at the root of the sensational crime he commits, one which ends up destroying whatever semblance of a life Bigger had until then. So Native Son ends up being an interesting cinematic conundrum. Like most noirs of the time, the amorphous "evil" of Communism creeps at its edges. But its author is a man who, at that moment at least, offered Communist tenets as a good solution for the types of systemic problems that afflicted Bigger. 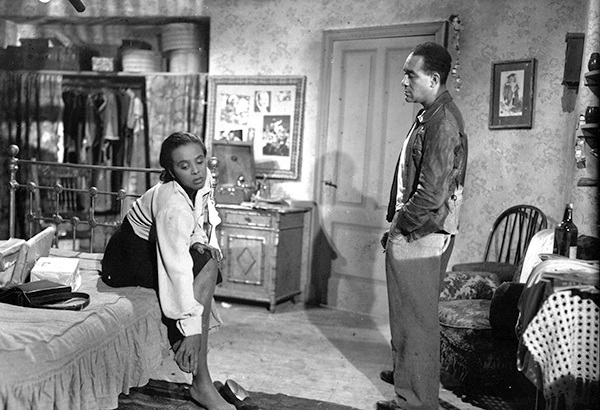 Wright attempts to dispel the myths surrounding African American life in Native Son. But in his shaping of Bigger's character—both on the page and even more so onscreen—ends up fueling the very stereotype he started out hoping to negate. These are just a few of the contradictions crystallized by Chenal's film adaptation of Native Son. And the Library of Congress's restoration, getting a public airing tonight at the NYFF, finally offers audiences a chance to puzzle out the film, its source novel and the man behind the book, in toto. Native Son is playing at the 50th New York Film Festival as part of its Masterworks sidebar at 6 pm tonight at the Lincoln Center's Walter Reade Theater, 165 West 65th St (north side between Broadway and Amsterdam, upper level), New York, NY 10023. For more ticket information go online here, or call (212) 721-6500.